With various cab hailing apps out and about in the market, we do not have to hurry or leave early anymore in order to find and haggle with a cab. Whether it is office hours in the morning, movie at night, festive season, auto/bus strikes, warm summers or puddle-some rains, we know we’ll get a cab at the time of need. But this one’s specifically about Ola. 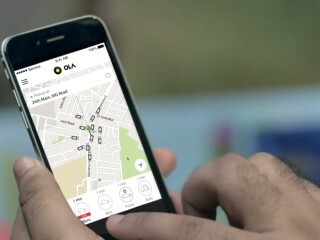 Having been one of more cost-effective options in the last few years, it is no wonder that Ola has become the newest prominent mode of transport and a household name to us. And there are a lot of interesting stories associated with the brand. I really was awed after reading an article online shared by a leading English daily of the nation about some highly educated executives quitting their jobs to become chauffeurs at Ola. Don’t ask why, I am busy wondering too. A particular shortcoming making it to the news these days is regarding the billing system manipulation that is skillfully carried out by the Ola cab drivers without the knowledge of the company or the customers. 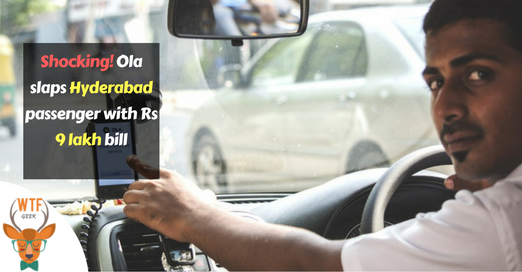 It so happens that the cab drivers either log in for a specified period so as to avail the incentives or get their friends to book a certain number of rides which lets such drivers earn money without having to ferry any customers. Reports suggest that these cheating practices by drivers make the company lose about 420 INR per ride. Another underhand tactic practiced by the drivers to pocket some extra cash is by fooling the customers. Ola cabs levy Rs.2 per minute as waiting charge from their customers. It is observed that a few cab drivers press the “Client Located” button even before they have reached anywhere close to the specified pick-up location. So the next time your cab-wale Bhaiya makes you wait for some extra minutes and you show your decency by being ok with it, you might actually be getting robbed of a fair few of your precious bucks. Mr. Rathish Sekhar, a private consultant from Hyderabad, was presented with a bill of Rs. 9,15,887 for a 450 km journey. The estimated bill displayed on the app while booking the cab to Mr. Sekhar amounted to 5000 INR. After the case was reported to the customer care by a shocked cab-driver, the reason was found out to be a technical defect. DAMN! A similar case was brought forward by a Ghatkopar businessman whose astonishment knew no bound when he was handed with a bill reading Rs. 83,395 for an Ola ride to Pune. It was after 30 minutes of haggling over the faulty bill that he could go after dishing out Rs. 4088 as the cab fare. Sources suggest that Ola has cut down on the incentive that was earlier enjoyed by its drivers and has introduced electronic wallet to prevent its customers from getting looted because of any tampering with the system. So the next time you hail an Ola auto or cab, be vigil or you might end up on the WRONG RIDE!